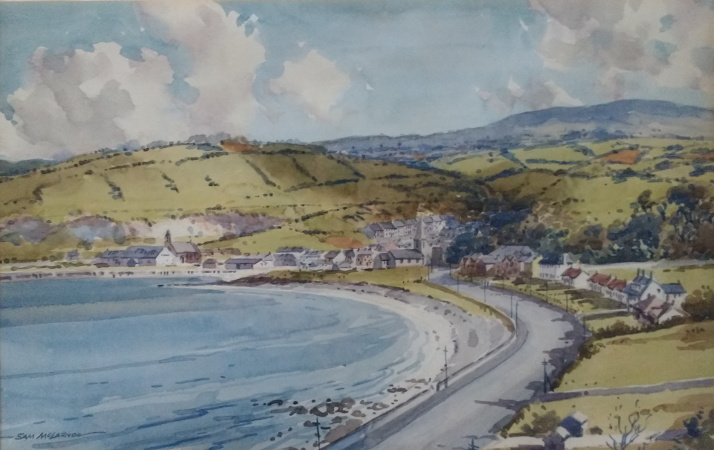 Sam is a member of the Ulster Watercolour Society (UWS) and has been painting Antrim Coastal Scenes for many years in his favourite medium of watercolour. Although now in his early eighties, Sam is still to be found working at his easel at some location along the Antrim Coast. He prefers to work outdoors to maintain freshness in his fascinating craft. Sam holds six gold,silver & bronze awards from his student days and has a diploma in illustration. His work is in constant demand from galleries and art collectors both at home and overseas.